This is all on me due to personal reading tastes. I'm not a fan of multiple points of view, and I don't mean where both main characters are voiced. For me, when I read firsthand from the 'baddies,' I quickly lose interest because there are no mysteries for me to ferret out alongside the main characters as they narrate. In this case, there are two opposing forces after Danny after he killed his attacker. There were five or six points of view in this novella. The reader knows everything the enemies/baddies are thinking, from every angle, long before Danny does, which took away from the journey for me, causing me to lose interest pretty much immediately. After noticing he is changing, Danny runs off to his ex for help, and the reader learns Danny broke up with Kier because he was a vampire in the first place. This lent an angsty, second-chance romance angle to the story. With that being said, there was little to no romance, because there were so many points of view. Overall, I enjoyed the premise itself, as well as both Danny and Kier. But I felt the multiple points of view was to the detriment because the reader and Danny didn't learn the world-building in an organic fashion. It removed all mystery and suspense, because the reader knew what was coming even if Danny didn't. This affected my ability to connect emotionally to the characters. While I wanted to enjoy this, I have to be honest and admit it didn't resonate with me. Not a fan of knowing the inner monologue of anyone but the main characters, because I prefer not to be spoon-fed, wishing some things left up to mystery, where the main characters show/tell me what they discovered. Not my cup of tea, but I'm willing to give the author another try in the future. RAYNA VAUSE is a lifelong learner who wants to live on a Disney cruise ship traveling the world and thinks purple should be considered a natural hair color. She loves to craft tales full of mystery, magic, and adventure and is a proud geek who injects a little bit of her geeky, tech-obsessed soul into every story. Rayna has collected degrees in English, Computer Information Systems, Radiologic Science, and more are on the way. She’s planned readers’ and writers’ conferences for the last ten years and has spent years serving on the boards of her various writers’ organizations. Rayna is a member of RWA, RRW, and a founding member of Liberty States Fiction Writers. When she isn’t writing, she’s likely indulging her love of video games, working through her massive TBR pile, or plotting her next novel. She lives in southern New Jersey, just a bit outside of Philadelphia, and shares a home with her cat, the Princess Muffin. 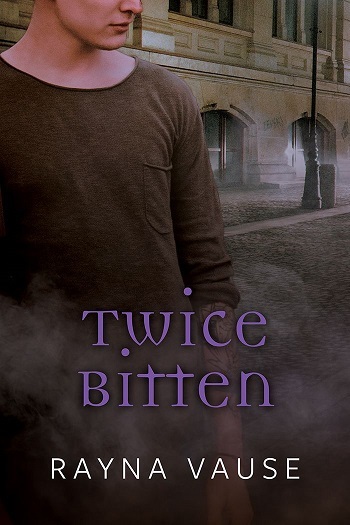 Reviewers on the Wicked Reads Review Team were provided a free copy of Twice Bitten by Rayna Vause to read and review.